Seismic engineering and forensic analysis are staples of contemporary structural design on the West Coast. 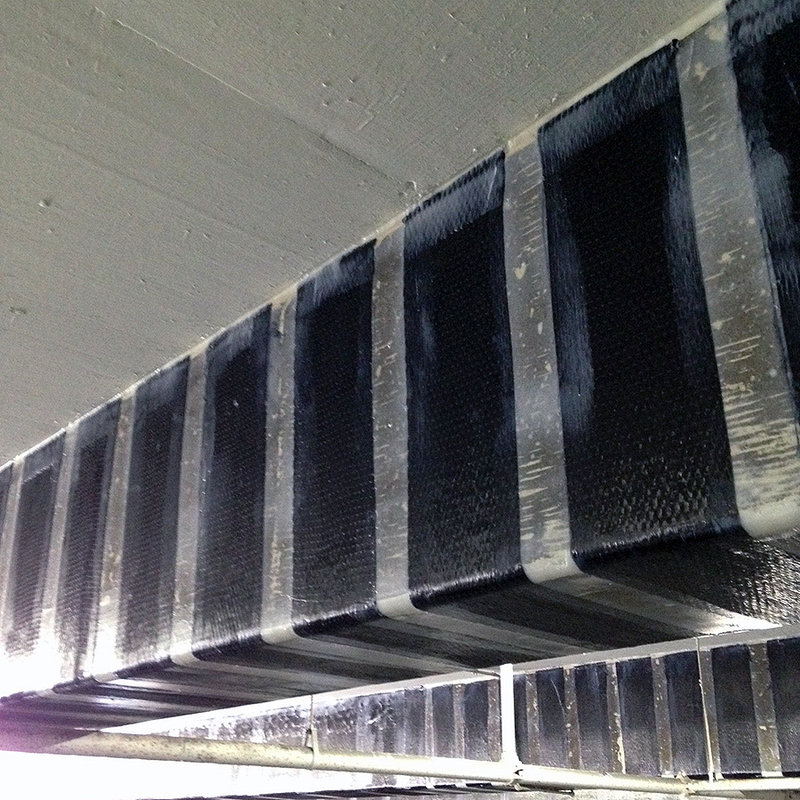 For a new seismic retrofit on a medical high-rise in Beverly Hills, California, engineers at ZDX Industries Inc., monitored, documented, and reinforced several concrete cracks caused by shear stresses along critical support beams. The ZDX team performed a comprehensive analysis of the cracks using Buildera CRACKMON® Crack Monitors to gain insight into the dynamic forces affecting the structure, underscoring the firm's commitment to seismic risk reduction and tenant safety. ZDX Industries (www.zdxindustries.com) is a general-contracting firm based in Santa Monica, California, with over 20 years of experience leading construction and retrofit projects across the Los Angeles basin. ZDX serves a client list composed of property owners, real estate investors, and land developers. Specializing in large-scale structural renovations, ZDX targets commercial and residential structures, including at-risk buildings for the City of Santa Monica's Seismic Retrofit Program. Meanwhile, in neighboring Beverly Hills, ZDX is nearing completion of a major seismic retrofit on the Roxsan Medical Tower, with keen awareness of the omnipresent earthquake risks in Southern California. Mahyar Mansouri, ZDX principal project manager, oversees the project to upgrade the 11-story Roxsan Medical Tower, situated at the corner of Roxbury Drive and Santa Monica Blvd. The project began initially as an interior/exterior remodel, plus a seismic retrofit of the tower's supportive framework, including key concrete beams. Further monitoring and analysis were subsequently required to engineer an optimal retrofit and mitigate seismic risks. As N. M. Nor et al. aptly articulate in a recent IJETAE research paper, "Concrete lacks tensile strength, thus, steel is the common tensile reinforcement in reinforced concrete. Even though steel performance in reinforced concrete is superb, it does have some [drawbacks]. Steel tends to deteriorate rapidly, especially when exposed to extreme coastal weather and sea water." The Roxsan Medical Tower sits just seven miles northeast of the Pacific Ocean, an area subject to fog and marine air. Average morning humidity ranges between 70-80% according to city-data.com . If left untreated, these conditions can accelerate corrosion of reinforcing steel, compounding potential seismic risk. Moreover, significant seismic events are a certainty in the region. Since 1918, at least six significant earthquakes (M6.2 and above) rocked the Beverly Hills area ranging in magnitude from 6.2 to 7.7 . In 1994, the famous Northridge quake (M6.7) struck the Los Angeles basin, causing billions of dollars in damage. The USGS estimates that there is a 70% risk of a M6.0 earthquake within 50KM of Beverly Hills within the next 50 years, and a 95% risk of an M5.0 earthquake within the same time frame. Addition of reinforced-concrete shear walls and carbon-fiber reinforced polymer (CFRP) wrapping of concrete beams is one part of ZDX's comprehensive seismic retrofitting plan designed to bring the Roxsan Medical Tower up to current seismic safety standards. As Kharatmol et al. explain in a recent article, "A Fiber Reinforced Polymer composite is defined as a polymer (plastic) matrix, either thermo set or thermoplastic, that is reinforced (combined) with a fibre or other reinforcing material with a sufficient aspect ratio (length to thickness) to provide a discernible reinforcing function in one or more directions." Upon the inspection of multiple concrete beams, certain cracks earmarked to receive reinforcement, warranted pre-stabilization to ensure optimal reinforcement of the concrete from the CFRP wrap. A few beams supporting the tower roof—an area subject to high levels of shear stress during an earthquake—are suspected to have deteriorated due to insufficient ties. One beam, located just beneath heavy HVAC equipment, showed particular signs of cracking, likely exacerbated by the vibrating equipment. Given the critical position these beams occupy in the overall support of the tower, ZDX engineers conducted further analysis to determine which beams would require immediate or more extensive reinforcement. FIGURE 3. Buildera CRACKMON® 2D Crack Monitor (CLASSIC STYLE) installed with thixotropic epoxy shows no X-Y differential movement since installation, indicating relative crack stability. photo ©2014 zdx industries. ZDX executive director and civil engineer, Ali Mansouri, P.E.—along with his team of engineers and project managers—deployed Buildera CRACKMON® 2D building-foundation crack monitors to assess the fractures at four locations along several beams critical to the structural integrity of the tower roof, while other beams throughout the building were reinforced in the interim. Buildera CRACKMON® crack monitors are cost-effective crack-measurement devices that help engineers track progressive crack displacement on concrete, masonry, and steel structures. An accurate analysis of present structural factors is crucial when carrying out a seismic retrofit, which is achievable when trending differential settlement metrics over time. Using thixotropic epoxy adhesive, ZDX installed four CRACKMON® crack monitors over cracks on key concrete beams crucial to the tower's support. ZDX checked for changes in crack width at two-to-four week intervals, and over several months' time. FIGURE 4. This concrete beam was epoxy injected and PREPPED FOR carboN fiber Reinforced polymer. photo ©2014 zdx industries. Performing final prep work prior to wrapping the beam with carbon fiber reinforced polymer. The epoxy injection helps to stabilize the beam while sealing the rebar from premature moisture permeation and potential corrosion. According to Mahyar, the ZDX team deployed Buildera CRACKMON® crack monitors to "provide insight as to the severity of the damaged areas and whether or not additional inspections and/or other strengthening should be recommended." Armed with knowledge of crack progression, ZDX prioritized beams exhibiting more significant crack movement. This ensured those beams were given immediate attention during the upgrade process. Reinforcing key beams using a combination of epoxy injection and carbon-fiber reinforced polymer (CFRP), the ZDX team bolstered the tower's seismic resistance to future earthquakes. With a projected 2015 completion date, the result will be a safer, modernized medical building in the heart of Beverly Hills, California. The author is grateful for the cooperation of Mahyar Mansouri, Ali Mansouri, and the entire ZDX team for their invaluable contributions to this case study, including photos and project-related content. Norazman Mohamad Nor, Mohd Hanif Ahmad Boestamam, and Mohammed Alias Yusuf, "Carbon Fiber Reinforced Polymer (CFRP) as Reinforcement for Concrete Beam," International Journal of Emerging Technology and Advanced Engineering, Volume 3, Issue 2, February 2013. PDF. http://www.city-data.com/city/Beverly-Hills-California.html#b, Web, Accessed 22 Dec 2014. Ratan Kharatmol, Pankaj Sananse, Rohit Tambe, and Ms. Raksha J. Khare, "Strengthening of Beams Using Carbon Fibre Polymer," International Journal of Emerging Engineering Research and Technology, Volume 2, Issue 2, June 2013, PP 119-125. PDF. Photos ©2014-2015 ZDX Industries, reproduced with permission. © 2015 Buildera. All rights reserved. Please contact Buildera for written authorization to reproduce electronically or in print.